Begin your visit with a stop at the Visitors Center and explore the exhibits that focus on the area’s history. Become acquainted with former residents and the social, agricultural, and technological aspects of life in the late 19th and early 20th centuries. 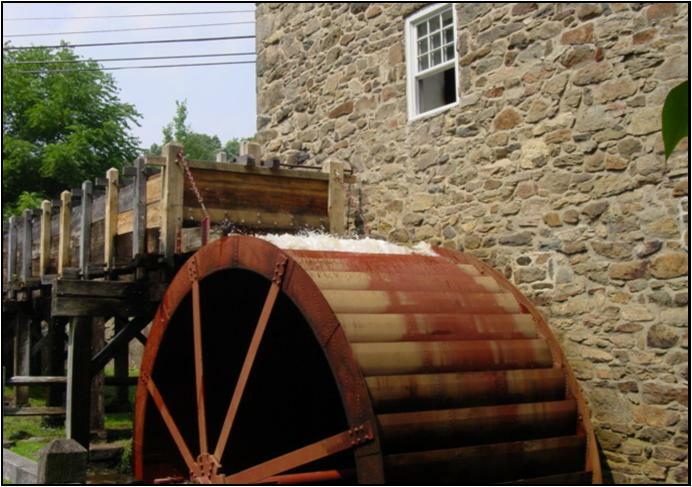 Cooper Gristmill was once the heart of a thriving industrial community and played a vital role in the area’s development during the Industrial Revolution. Your journey continues on a guided 45-minute tour with a master miller. In period costume, the master miller explains the history and operation of the mill and the vibrant community once called Milltown. The miller will actually run the mill’s restored machinery so you can watch the massive water wheel power shafts and gears in action. Witness the amazing power of the Black River as it is harnessed to turn a steel water wheel that grinds grains into flour using two sets of the massive 2,000 pound millstones. These two huge grinding stones can produce up to 800 pounds of flour per hour. Inside the mill, you can see the amazing technology at work hearing, smelling, feeling, and seeing the inner workings of the mill! Complete your visit by taking home some organize stone-ground flour and cornmeal produced at the Gristmill in an authentic flour sac with muffin and bread recipes printed on the bag. Packages are available for a donation. Host your next formal or informal wedding, family gathering, or corporate event at Cooper Gristmill. 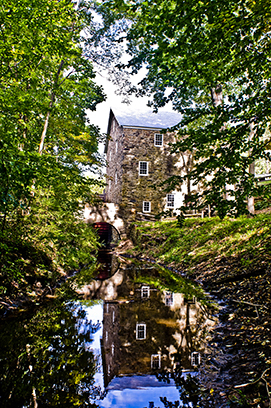 The Gristmill offers the option of reserving a charming Carriage House surrounded by a lovely landscape. To reserve the Carriage House, please call 973.285.6534. The Friends of Fosterfields and Cooper Gristmill assist the Park Commission in developing and maintaining a high level of excellence at Fosterfields Living Historical Farm and Cooper Gristmill. The Friends also promote and sponsor a public education program of historical and agricultural projects and activities. Members enjoy discounts on general admission, advance notice of activities, and a free subscription to the Gazette newsletter. 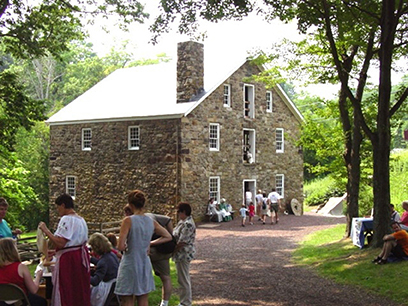 For more information on The Friends of Fosterfields and Cooper Gristmill, or to become a member, please visit wwwfriendsoffosterfields.org or call 973.326.7645. 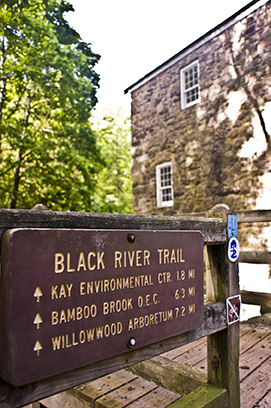 Digital trail maps of the Black River trails are available online. The Spring and Summer months at the Cooper Gristmill bring a variety of special event programs to enhance your visit to the Gristmill opening in April. Special programs include Home School Grain to Gallery and May offers Home School Math in the Mill. Chester Railroad Extravaganza, Gardening at the Mille, and Art programs in June, Sail, Sail Your Boat and Muffin Baking Workshop in July and August. 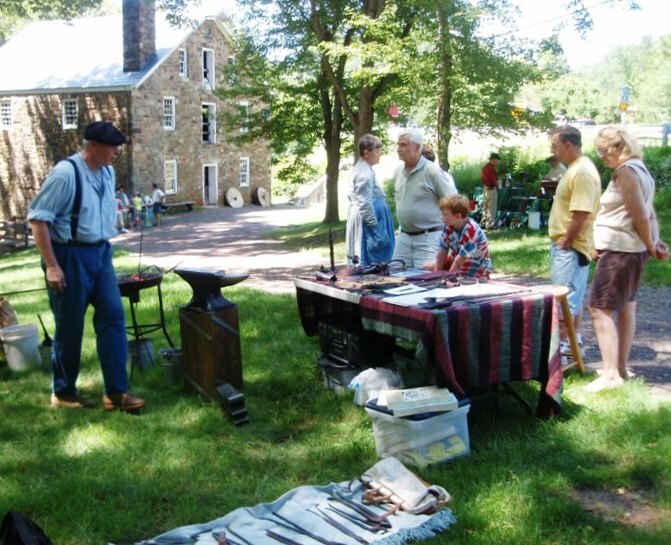 Also enjoy Industrail Crafts day in August. Stop by the Visitors Center to explore the exhibits. Of course, you can plan a delightful afternoon by the stream with a fishing pole or bring a blanket and your favorite book. 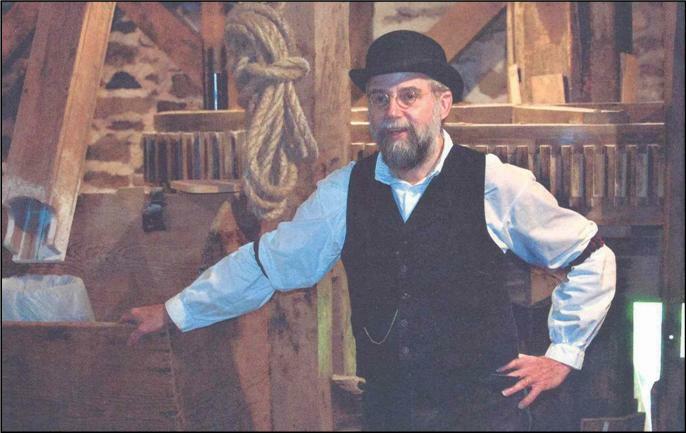 Cooper Gristmill is open April through June , Fridays, Saturdays, and Sundays 10 a.m. to 5 p.m. Last tour begins at 3:30 p.m.
July through August, Wednesday through Saturday, 10 a.m. to 5 p.m. Sunday, 12 noon to 5 p.m. Last tour begins at 3:30 p.m.
September through October Fridays and Saturday 10 a.m. to 5 p.m. and Sunday 12 noon to 5 p.m. Last tour begins at 3:30 p.m.